The Shakopee Chamber Executive & Business Owner's Roundtable provides a structured, confidential and trusting environment for executives and business owners to give and receive the benefit of their experiences to help resolve business challenges. Participation in this group allows leaders to make better strategic decisions, focus on "the right things," improve communication and build long-term relationships. Why should I join this group? Executives have a responsibility to represent their stakeholders in the most flexible way possible. This means meaningfully promoting the interests of their employees, customers, consumers, and communities. One of the most effective ways to develop an enlightened perspective is to learn from other like-minded professionals. Incubator for problems. Maybe you don’t have a problem you’re wrestling with today, but you might tomorrow. And, through these discussions you begin to create a community of people who you can call up and ask “how would you handle this?” when tomorrow comes. Build a professional community. The intent of the Roundtable is to keep the group manageable which allows for an “off-the-record” tone. This cultivates familiarity and sense of collegiality with professional peers. Leaders develop successful business strategies, engage a sounding board, and hear new tactical ideas. We promote open exchange of ideas through group discussion. Diverse but like-minded leaders. Participants come from various sectors of the business community. However, they are united in their efforts to develop a higher purpose for their company, its employees and greater community. This eclectic mix will help build a rock-solid network of leadership peers who can be used as a resource in the future. 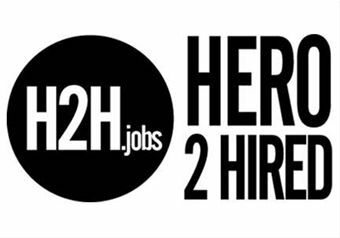 "I have participated, when available, in the monthly Business Leaders Roundtable discussions for nearly two years. I have found great value in sharing our leadership challenges and in both giving and receiving feedback on how to overcome these. We also share recent success stories which have provided me with additional insight and creative ideas. This is not another networking group. This is a group that shuts the door for a few minutes each month on our fast paced business environments so we can work on being better business leaders. I find it to be a great small investment of my time." "Our monthly meetings are effective discussions on high-level topics that all businesses owners and leaders can relate to. I appreciate that I can get honest feedback and different perspectives from leaders in various industries. There is a great value in learning about other companies challenges and how they have overcome them." Who can participate in this group? Shakopee Chamber members who hold a c-suite title (CEO, CFO, COO, GM or VPs), have an upper management role in their organization or are a small business owner may participate. 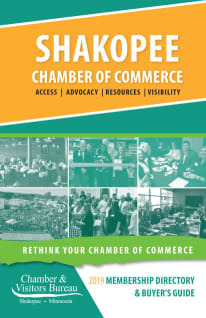 There is no cost to Shakopee Chamber members for participation in the roundtable meetings. However, to respect the privacy of its members, the executive roundtable is a private group. If you have an interest in joining the group, please contact Scott Morrell before attending a meeting. Meetings take place on the second Wednesday of each month from 7:30am - 9:00am. Contact Scott Morell for more information.